← Jobs and Communities Are Not Disposable! 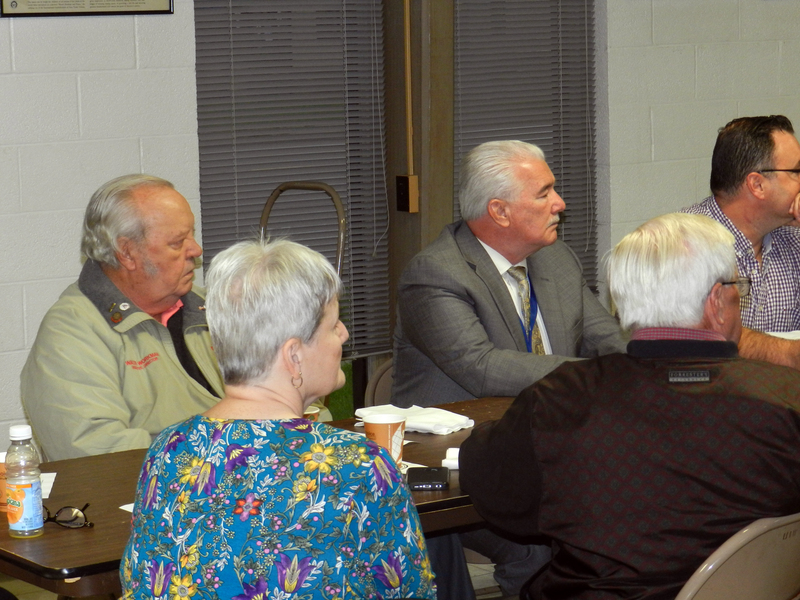 This month marks the retirement of Walt Workman, Executive Director of the Central Ohio Labor Council, AFL-CIO. After 53 years in the labor movement and 20 years as Director of the CLC, Walt will be moving on. ing the support of upper management, a joint problem-solving process replaced traditional behaviors and piles of grievances as both sides strived to find lasting solutions to problems in the facility. 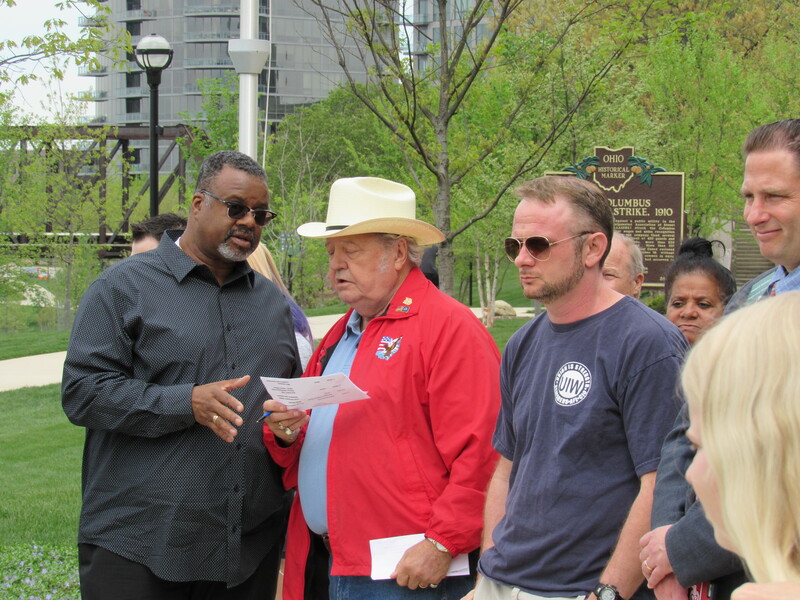 Walt Workman (second from the left) discusses details with CLC President Theo James at the Worker Memorial Park ceremony this May. As leader of the CLC, Walt helped unions do the best possible job of representing their members, promoted labor in the community, worked with local leaders and politicians to promote issues that impact workers. He is widely respected by political leaders on both sides of the aisle. Walt as honored this week at the annual CLC Golf Outing. 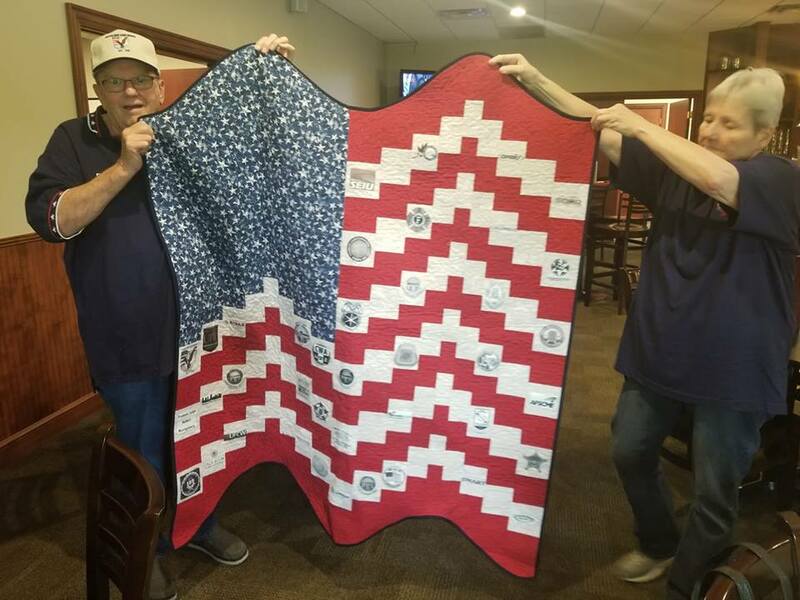 Among the gifts he received was a quilt/tapestry depicting an American flag. On the white stripes were the logos of the various unions that make up the Central Labor Council. The tapestry presented to Walt at the AFL-CIO Golf Outing this week. The white stripes are logos of CLC member union locals. Photo Courtesy of Judge Eileen Paley. Walt was a strong supporter and an advocate for CALMC. His efforts to win the support of local leaders for CALMC has been instrumental to our continuing our work. Over the last 20 years, he has been my valued colleague, supporter, and friend. 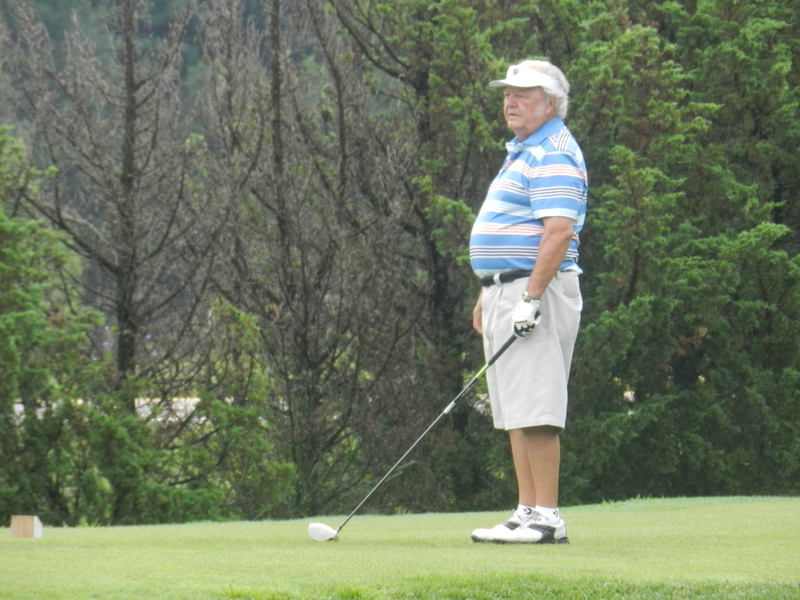 On behalf of the Board of Trustees and everyone at CALMC, we will truly miss him. Walt’s successor at the Central Labor Council is Mark Fluharty. Mark, who is also a veteran labor leader, will serve as Labor Co-Chair of our Board. We are looking forward to working with Mark to continue to build opportunities for employee engagement. Thanks, Walt! We’ll see you on the golf course. This entry was posted in CALMC, Columbus Area Labor-Management Committee, Employee Engagement, Employee Involvement, Labor-Management Cooperation and tagged CALMC, Columbus Area Labor-Management Committee, employee engagement, employee involvement, labor management relations, labor-management collaboration, resolving labor-management issues, working together. Bookmark the permalink.